Dean Baker, 55, participated in the inaugural Marathon des Sables in Peru in November/December 2017. As a four-time veteran of the Marathon des Sables in Morocco, he knows the race well and gave us an interview before departure. In Peru he placed 187th (out of roughly 280 entrants and 220 finishers), covering the 243 kilometre course in 59 hrs and 58 minutes. Below he gives his thoughts on his return. Wow what a race!! It was a much tougher event than I thought it would be, but it was everything that I had hoped for. There were a few small issues, the main one being that many competitors had blood in their urine during the race. It is under investigation, but it affected me for six of the seven days. I feel that my training was pretty good. Mentally I think I was spot on this time, I may have had to reduce the pace a bit at times but I didn’t allow myself the luxury of doubt at any point and I am very proud of that. Physically I felt good through the week. I altered my pace based on the state of the blood in my urine - as it got darker I backed off. I based my thinking on a) wanting to finish and not to blow up, and b) not wanting to do any lasting damage. With more knowledge of the course pre-event I probably would have done more hill work in training. How well did the race organisation function? The race was a little less slick than in Morocco, however that was what I wanted. When things are over-organised, I find it less of an adventure. 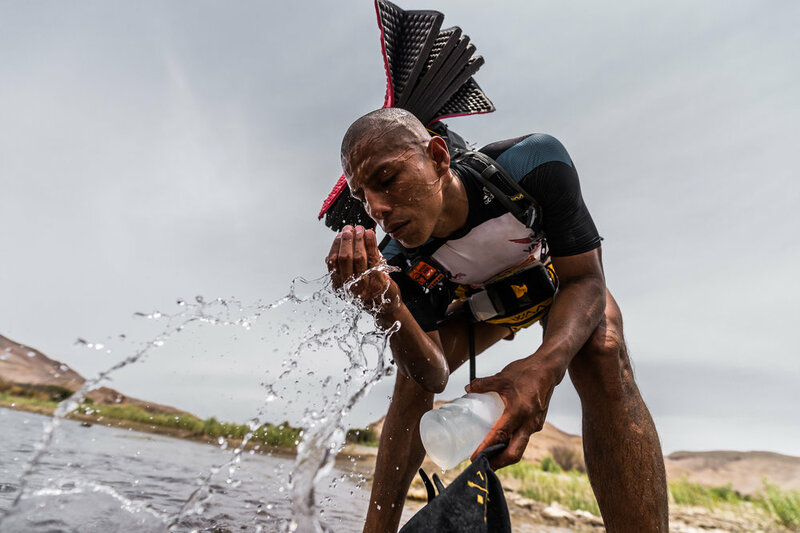 It was also the first MdS in Peru, so I think the people in the country, in the hotels, on the buses etc will have learned a lot and next year they will find the race easier to deal with. What was the course like? How different was the race from the Morocco race? The course was tougher in my opinion. There were a lot of slopes, the sand was sharper than in Morocco and in general the underlying rock was harder and less even, I certainly have a fair bit of damage on the bottom of my feet and my left ankle is a bit busted up. In the camps we had single tents and I feel that this created less atmosphere. On some days I hardly spoke to anyone. However, that can help mentally - it’s easier to ignore pain and hardship when no-one else is telling you how bad they feel. I find it hard to deal with negativity! Day 1 between Checkpoint 1 & 2 was very tough. There was not enough water for me, the conditions were tough and it was when I started to pee blood. After I finished and allowed myself to relax mentally - about 24 hours after - the pain in my legs was incredible. My left foot and ankle swelled to about three times their normal size. It’s easy to say the finish line, though in reality I often then get quite down at that point. The whole process is important to me rather than just the race, so a finish line becomes that - a finish and end to that project. I love the positivity of the other runners, so in many ways I guess that the start line of the last day is the best moment - no one is going to drop at that point so the positive energy is huge! I learned that I can still achieve anything if I put my mind to it. And that mental training is at least as important as the physical. I will continue to push myself physically and mentally. I am lining up the next challenge right now. A Life of Adventure would love to keep you posted with stories ideas and tips about.... well... adventure. Sign up and we'll send occasional inspiring, pithy and hopefully funny messages about how to find adventure and the people involved. We promise not to bombard you and will never sell your email address on. Sign up with your email address to receive news and updates.